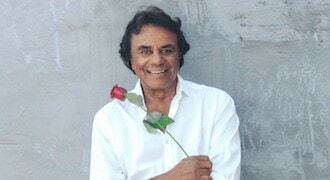 Best-known for his supremely popular hits like “Chances Are,” “It’s Not For Me To Say,” and “Misty”, Johnny Mathis has recorded close to 80 albums, 6 Christmas albums, and has sold millions of records worldwide. During his extensive career, he has had 3 songs inducted into the Grammy Hall of Fame, achieved 50 Hits on Billboard’s Adult Contemporary Chart, and ranks as the all-time #6 album artist in the history of Billboard’s pop album charts. He has received 5 Grammy Nominations, and in 2003 he was given the Lifetime Achievement Award from the Academy of Recording Arts and Sciences. And this March he comes to Spirit Mountain Casino to share his beautiful vocal talents. This is a DON’T MISS OPPORTUNITY to HEAR a MUSICAL ICON. GET YOUR TICKETS NOW!